1. Line a baking sheet with foil and preheat the oven to 375F/190C. 2. Rinse the cauliflower and then remove the stem and leaves at the base. Drizzle the olive oil over the cauliflower, ensuring it’s spread on the underside too. 3. Sprinkle sea salt and black pepper onto the cauliflower on all sides then place onto a baking sheet and roast for 30-35 minutes. 4. 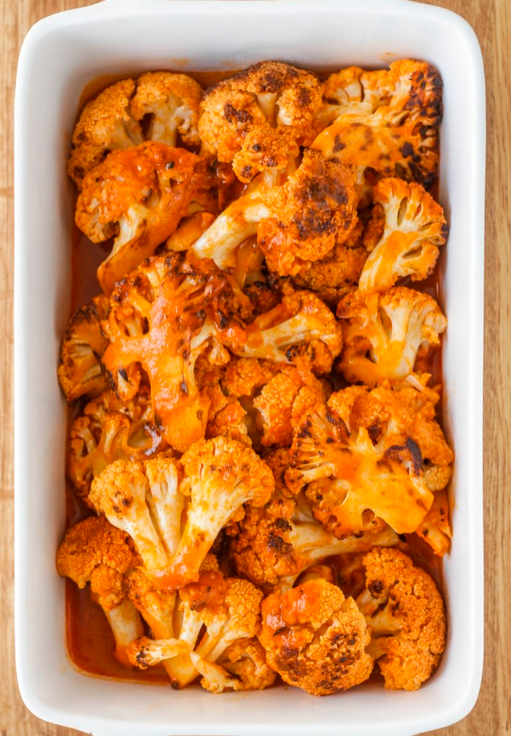 Remove the cauliflower from the oven and leave to cool for a few minutes. As the cauliflower cools, combine the sriracha and the hot sauce into a small saucepan over a low heat. Cook on a low heat until it simmers and then remove from heat. 5. Separate the cauliflower into florets and then place 1-2 tbsps of the olive oil into a skillet and once hot, add in the cauliflower florets, pan-frying for 5 minutes without stirring. 6. Add the hot sauce into the skillet along with the cauliflower, allowing it to thicken. Stir gently to ensure the cauliflower is coated in the buffalo sauce. 7. 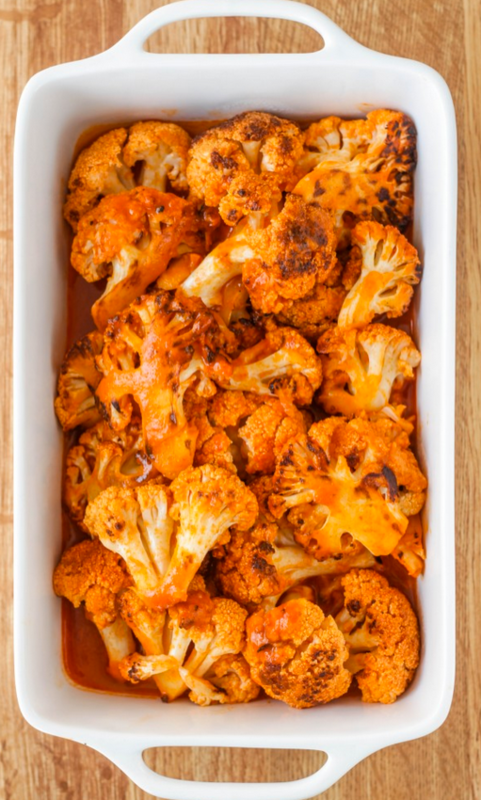 Once the cauliflower is coated in the sauce, turn off the heat and serve the cauliflower onto the plate. The cauliflower bites will last for up to a week in the fridge but are best eaten the same day.